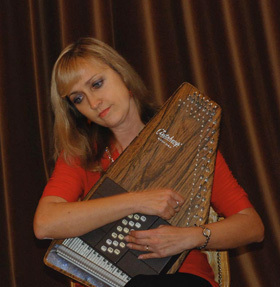 Jana Vassilenko graduated from the Academy of Music in Minsk (Belarussia). Her genres are: Russian folk songs, Russian romances , Russian ((geistliche Musik)), acoustic folk-rock und renaissance songs. Page generated in 0.064933 seconds.